The personal doctor to a professional wrestler who killed himself, his wife and their 7-year-old son was sentenced to 10 years in prison for illegally distributing prescription drugs to patients. Dr. Phil Astin was sentenced Tuesday after pleading guilty Jan. 29 to 175 counts that including illegally distributing prescription drugs. 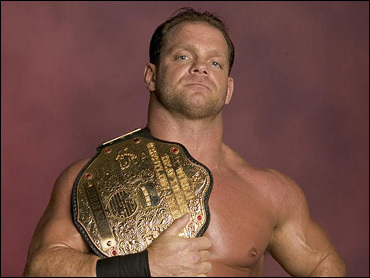 Wrestler Chris Benoit killed his family and then himself in 2007 in their suburban Atlanta home. A medical examiner couldn't say whether the steroids Astin prescribed for Benoit played a role in the deaths. U.S. District Judge Jack Camp said there was no doubt the 54-year-old Astin tried to help hundreds of patients at his western Georgia clinic. But the judge said he could not overlook the fact that two patients died as a result of Astin's misconduct.